Islander’s Daddy brings butter mochi and bibingka to church meetings and Islander has continued the custom on the mainland. When a few friends get together for a prayer social, the “local expatriates” often request a Hawaii-style dessert. Islander obliges and makes a mochiko (sweetened rice flour) cake because it can feed a crowd. 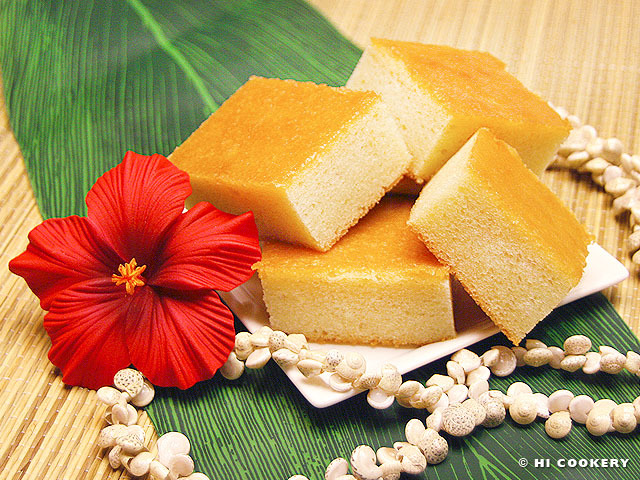 Our haole friends refer to butter mochi as Hawaiian cornbread because it looks like it. Some cultures consider corn as king, but to others rice is royalty! 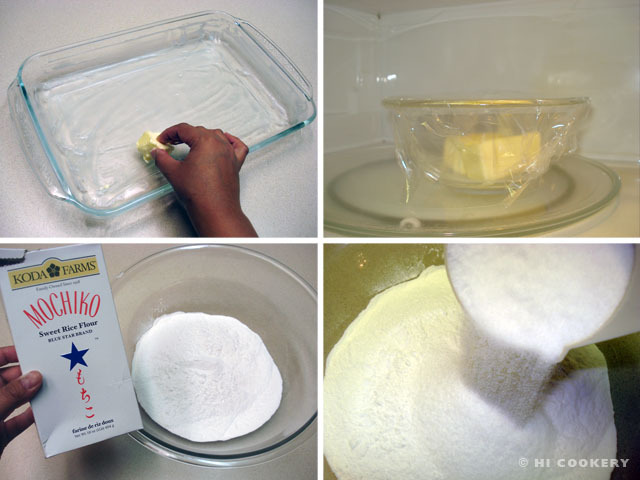 For National Rice Month, make something ‘ono with sweetened rice flour and bake butter mochi. Generously grease a 9×13-inch baking pan with butter. 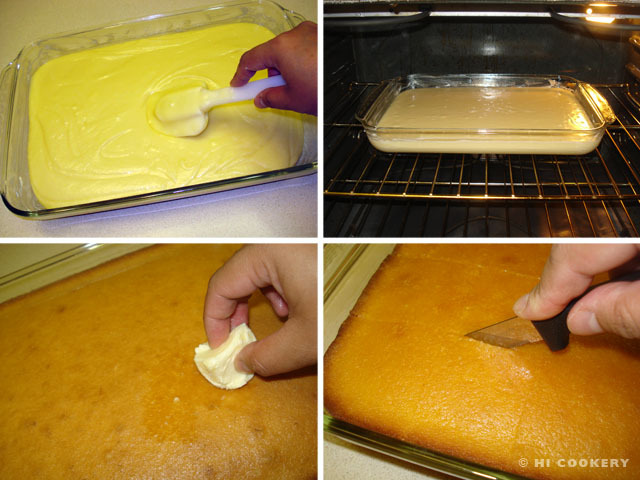 In a microwave safe bowl, place the stick of butter and microwave until melted. Set aside to cool slightly. In a large bowl, mix the mochiko and sugar. Add baking powder and the melted butter to the mixture. 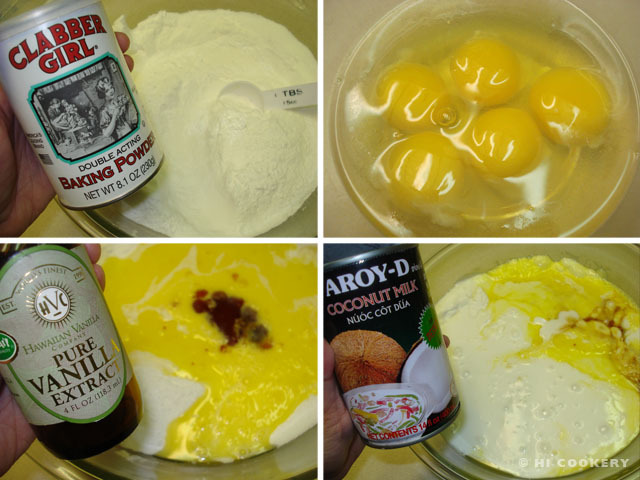 Mix in the beaten eggs, vanilla and coconut milk. Stir well until smooth. Pour the batter into the prepared pan. Bake in a preheated oven at 375 degrees F for 45 minutes, testing for doneness with a toothpick (should come out clean). Remove from the oven and allow to cool for 15 minutes. Rub about two tablespoons of butter on top of the butter mochi until it shines. This prevents the dessert from drying and cracking too much. Cool completely. Slice into squares and serve. Squares of butter mochi may be garnished with shredded coconut (optional). Islander’s Daddy serves the sliced squares in cute cupcake papers for a pretty presentation. Search our blog for more rice recipes.